As PondView Estate's Brand Ambassador, Brent's number one priority is to enhance the guest experience at PondView Estate Winery. Brent was born in Kelowna, BC, one of the two top wine regions in Canada. Career opportunities have provided Brent the opportunity to live in and visit all of Canada’s wine regions. Having resided in Kelowna BC, Vancouver BC, Edmonton AB, Burlington/Hamilton ON, Ottawa ON, Moncton NB, Halifax NS, and currently residing in Ridgeway ON, he has walked every step of the Canadian wine routes. Brent has had the opportunity to travel to Burgundy & Provence France, and Sonoma Valley, Napa Valley, and Arizona on wine business with his wife Tara. Wine has always been part of the landscape in Brent’s home. His wife, also a wine lover, is an accomplished chef and past restaurant owner. Brent followed his wife through her restaurant years as Chef and Owner, and it was with this life experience that wine became an integral part of their business and a staple of their daily culinary adventures. Brent had an opportunity to change directions in his career in 2015, which allowed him to move to Niagara and pursue a lifelong dream of joining one of Niagara's finest wineries. Brent has successfully completed many wine and beverage courses and is also enrolled in the Sommelier program at Niagara College to further his understanding of wine. His many years spent touring wineries and being a wine club member inspired Brent to assist in the launch of the successful “No Fees - Just Wine” Wine Club at PondView Estates Winery. To quote Brent, "If every month I can receive more wine than I pay for, plus free shipping in Ontario as well as all of the benefits of being a wine club member? Where do I sign?" Brent’s role as Brand Ambassador has allowed him to represent PondView Estate Winery on the Board of Wineries of Niagara-on-the-Lake. He also represents PondView Estate at numerous trade shows, corporate premium tasting events, and Niagara’s famous Icewine Festival. 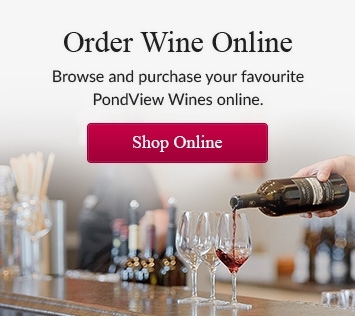 When you meet Brent at the PondView Estate Winery tasting bar, he will be eager to introduce you to the best wines in Niagara, and provide you with an unbelievable guest and tasting experience. And of course he's always eager to introduce you to the "No Fees - Just Wine" PondView Wine Club. On days off you will find Brent and his wife Tara enjoying a day at the beach with their beloved golden retriever, Sophie. If prompted, Brent may even share a picture or two of his most recent wine and food pairing experience. As quoted by his wife Tara, "He has the best job in the world; he samples wine and loves talking to people."